Back from holidays with the family. August is the month for Parisians to spread their wings outside of the city. We had great experiences in the country sides of The Netherlands and Spain. Where good food was high on our list. Especially food like fruit and vegetables from farmers of that area. Which makes me write this to let you know that today you have to visit the market at Bastille, Paris, to buy fruit and vegetables from farmers around Paris. 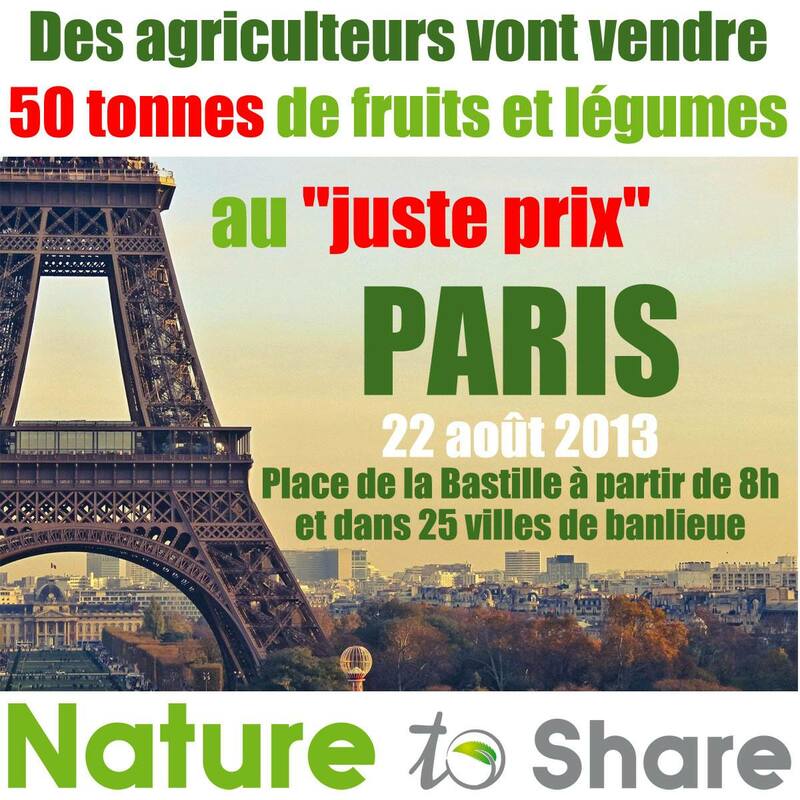 Today farmers of Lot-et-Garonne come to Paris to sell at a “fair price” 50 tonnes of fruit and vegetables at Place de la Bastille. This direct sale from the producer to the consumer can terminate the excessive margins supermarkets. The Modef union wants to show that supermarkets are getting too much profit when selling their products to the consumer. Prices of fruits and vegetables have skyrocketed this year, reflecting the gloomy weather of spring. Fruit by 14% and vegetables by 17% with peaks of over 30% for some products compared to last year. The union wants to show that the crops are good this year and there is no need for supermarkets to raise the prices that high. So I guess today would be a great time to do some of your groceries shopping at Bastille for some fresh fruits and vegetables! Yummy! Farmers will also come to the markets in the suburbs as Aubervillier, Ivry, Villejuif, Montreuil, La Courneuve. Check here for the full list of all the 25 places.